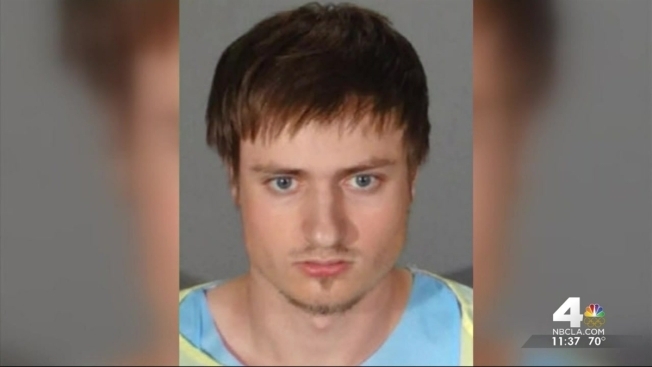 Assault rifles, high capacity magazines, ammunition and chemicals used to make explosives were found Sunday in the vehicle of a man from Indiana, according to Santa Monica police. Despite an earlier report from Santa Monica's police chief, the man did not indicate he was targeting LA's PRIDE festivities, only that he intended to go to the event. Authorities arrested the man Sunday morning just hours after a mass shooting in Orlando left at least 50 dead at a nightclub, including the gunman, and before the start of the LA PRIDE parade in nearby West Hollywood, according to the Los Angeles County Sheriff's Department. Santa Monica Police Chief Jacqueline Seabrooks identified the man arrested in the beach community as James Howell, 20. During the arrest, Howell told one of her officers "of wanting to do harm to the gay pride event," Seabrooks told NBC News earlier in the day, before later sending a tweet indicating that report was inaccurate. During a mid-day news conference, the chief did not elaborate on specifics, stressing the investigation was still preliminary. Jail records show Howell was in custody with bail set at $500,000. A court appearance was scheduled for Tuesday. He is being held on weapons and explosives charges. Los Angeles Mayor Eric Garcetti said the case does not appear linked to the Orlando mass shooting, but that the man was heavily armed and told police he was going to the LA PRIDE parade nearly 10 miles away. Howell was arrested after police responded to a prowler call near Olympic Boulevard and 11th Street. The suspect was allegedly knocking on a resident's door and window. Officers found Howell seated in a nearby vehicle, in which they found three assault rifles, high-capacity magazines and ammunition, Santa Monica police said. Officers also found a 5-gallon bucket with chemicals "capable of forming an improvised explosive device." The LA County Sheriff's Department bomb squad responded to the scene. Authorities said they have no additional information about the suspect's intentions. The NBC4 I-Team uncovered records that show Howell is on probation in Indiana after an altercation with a neighbor, during which he reportedly pulled a gun out in an attempt to intimidate. As part of his probation, Howell is not supposed to be in possession of firearms. The arrest came hours after a gunman opened fire in a gay Orlando nightclub, killing at least 49 and injuring more than 50 others. Sunday's parade in West Hollywood began at about 11 a.m. with a moment of silence at Crescent Heights Boulevard, then continued west along Santa Monica Boulevard to Robertson Boulevard. The usually festive atmosphere included a more somber tone on a day when the United State witnesses its deadliest mass shooting. Deputies routinely patrol the parade, held every year since 1970, except for 1973 when infighting over displays the previous two years left the organizers in disarray. The parade was held in Hollywood until 1979, when it moved to West Hollywood.